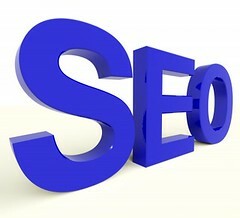 A popular website requires a really efficient SEO. A website needs to provide the best user experience and relevant content to appear the top results of search engines like Google and Bing. In the post Penguin era, a good backlink profile has also become quite essential. A lot of seo tools are available free online nowadays. One of the most popular backlink checking tools is Open Site Explorer (OSE). OSE allows you to run three reports on daily basis without an account, you need to create an account with OSE to get more report runs. Once registered, you can gain access to almost 1000 backlinks to a URL. Summary information about the Domain Authority, number of total links, Page Authority and number of linking root domains for the given URL are included in the report. The best ways to identify SEO-related problems with a website is to crawl its pages and look for issues like duplicate titles or broken links. A free desktop app Xenu’s Link Sleuth can check for broken links on a website. It can also check for a page’s titles and meta descriptions, but its main role is to quickly crawl a site and check the code status of the website’s links.